This panel mounted therma-hygrometer for panel simultaneously displays both humidity over the range of 20 to 99%rh and temperature over the range of 0 to 49.9°C with a resolution of 1%rh and 0.1°C. This thermo hygrometer is ideal for OEMs for installing into equipment, i.e. vivariums, incubators and similar. The therma-hygrometer is easily installed into a panel via a mounting hole with a minimum Ø33 mm cut-out. The unit incorporates a screw clamp with a maximum panel thickness of 7 mm. 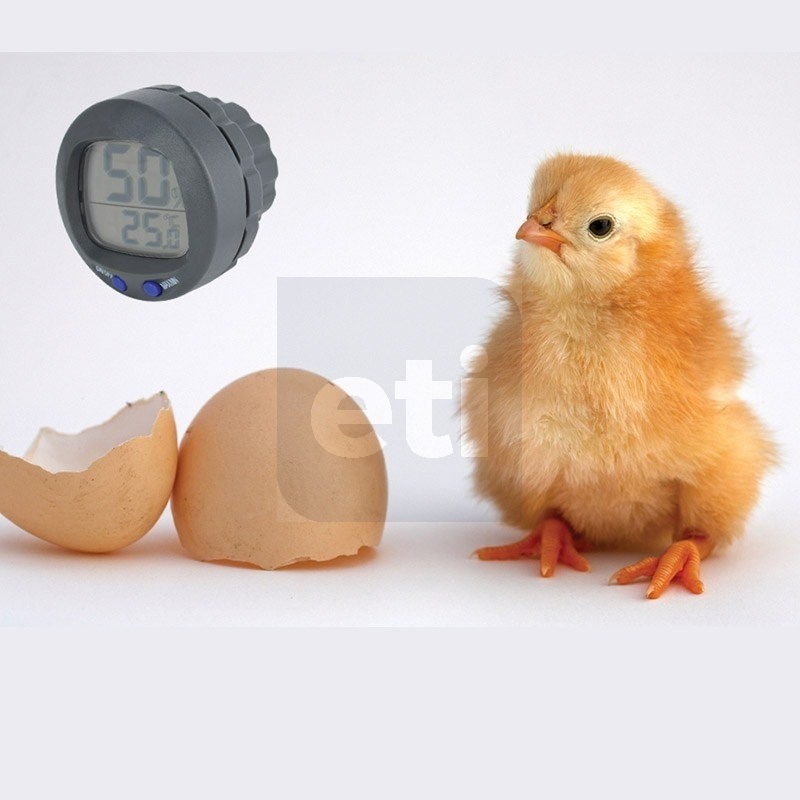 The hygro-thermometer features a max/min memory function for both temperature and humidity. The instrument can be panel mounted via a minimum Ø33mm cutout and is powered by a CR2032 coin cell battery with a life expectancy of 5000 hours continuous use.